A responsive theme designed to show off a stream of posts, quotes, and images. Add a custom logo to stand out from the crowd. 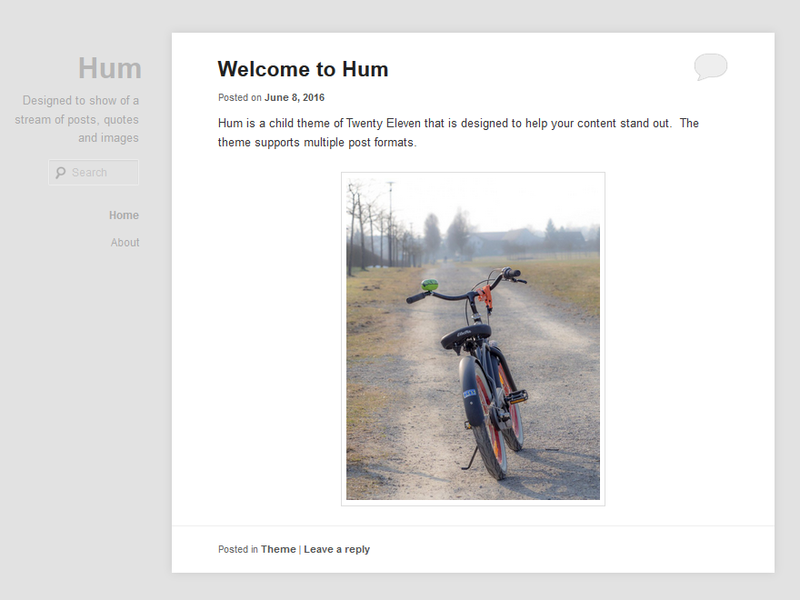 Hum builds off of Twenty Eleven, so you get all of the goodness of a WordPress core theme included.